Ashleigh is a registered psychologist with 7 years experience. She has worked across both private and public mental health services. 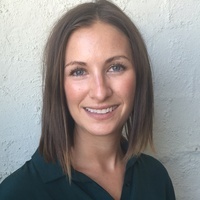 Ashleigh has extensive experience working with individuals who present with Depression, Anxiety, chronic pain, Post Traumatic Stress Disorder, Trauma, Addiction, Eating Disorders, Anger Management, work related stress and bullying, relationship difficulties, and interpersonal difficulties. Ashleigh takes a holistic, client centred approach, offering a range of evidence based therapeutic interventions that are designed to meet the needs of each individual. These therapies include Cognitive Behavioural Therapy (CBT), Acceptance and Commitment Therapy (ACT), and Schema Therapy.